Disaster management is generally understood to consist of four phases: mitigation, preparedness, response and recovery. While these phases are all important and interrelated, response and recovery are often considered to be the most critical in terms of saving lives. Response is the acute phase occurring after the event, and includes all arrangements to remove detriments and a long-term inventory of supplies to deal with irreversible damage. The timely provision of geospatial information is crucial in the decision-making process, and can save lives and rescue citizens. - Practice and legislation, with a focus on the utilization of geospatial information in recent disaster events, as well as resulting legislative attempts to share and access data. - Data collection and data products. - Data management and routing in 3D. - Emerging technologies, including positioning, virtual reality and simulation models. - Integration of heterogeneous data. 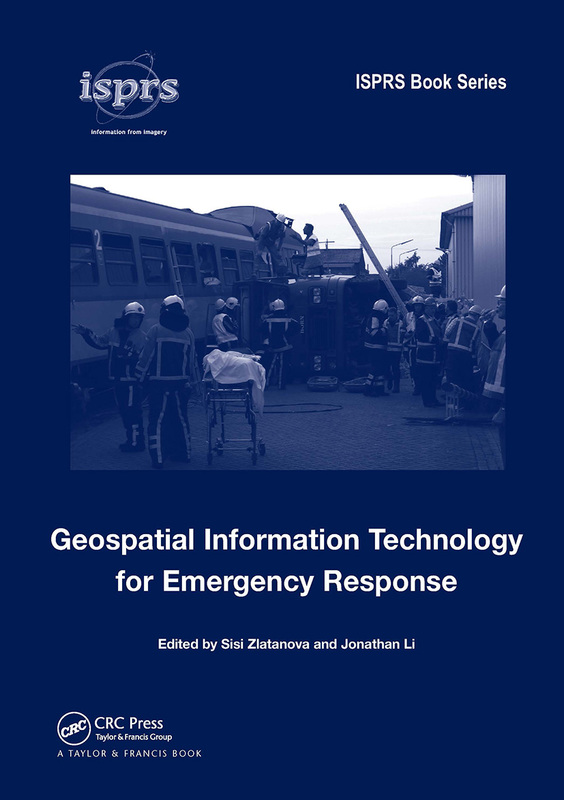 This volume is aimed at researchers, practitioners and students who work in the variety of disciplines related to geospatial information technology for emergency response, and represents the very best of current thinking from a number of pioneering studies over the past four years. —International Journal of Geographical Information Science, 23:1, 131-133. If there is one microwave remote sensing textbook that you are going to purchase,then make sure that it is this one. … This is the textbook to which I wish I had had access whilst undertaking my PhD. It is complete, coherent and concise. … useful to advanced students and professionals engaged with the application of geospatial information technology. … an accessible volume that offers a considerable breadth of current knowledge. The International Society for Photogrammetry and Remote Sensing (ISPRS) Book Series comprises significant scientific publications in photogrammetry and remote sensing, and related disciplines. Each volume in the series is prepared independently and focuses on a topical theme. Volumes are published on an occasional basis, according to the emergence of noteworthy scientific developments. The material included within each volume is peer-reviewed rigorously, ensuring strong scientific standards.